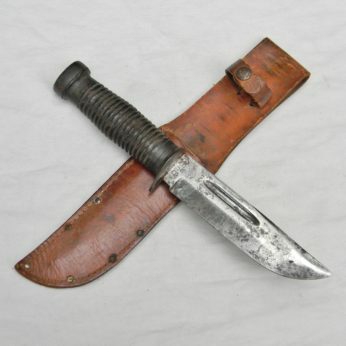 Original WW2 COLONIAL USN Air Corps airman survival knife with heavy-duty 4.75-inch blade and saw. 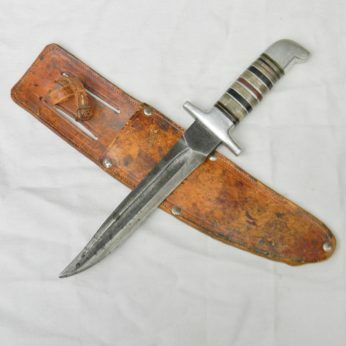 Excellent condition, considering the age. 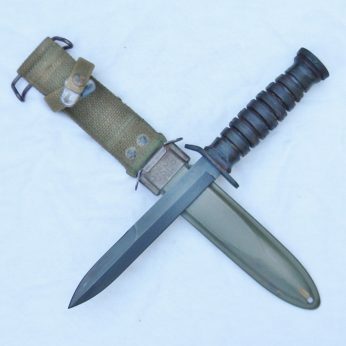 WW2 COLONIAL USN Air Corps airman survival knife with heavy-duty 4.75-inch blade and saw. 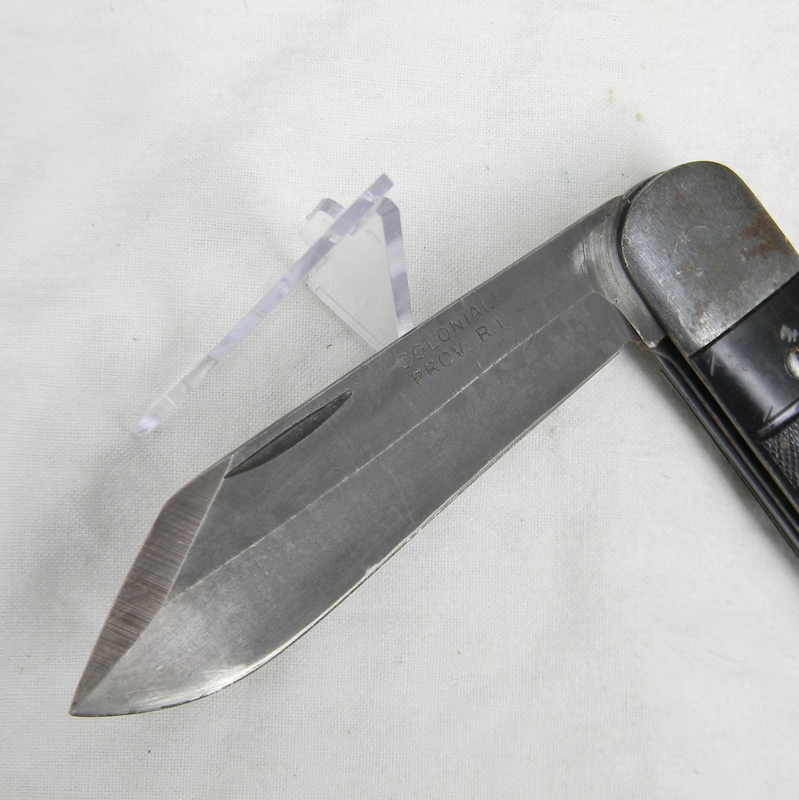 Excellent condition, considering the age. 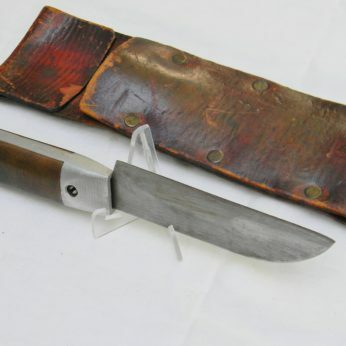 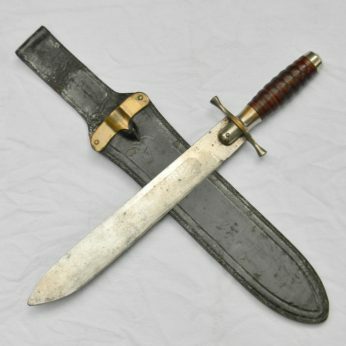 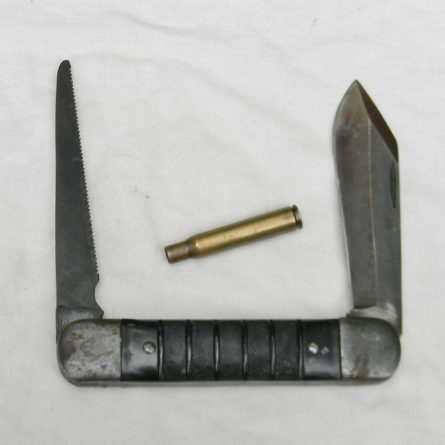 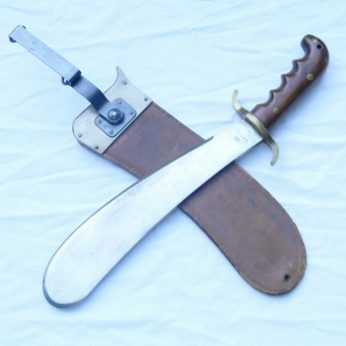 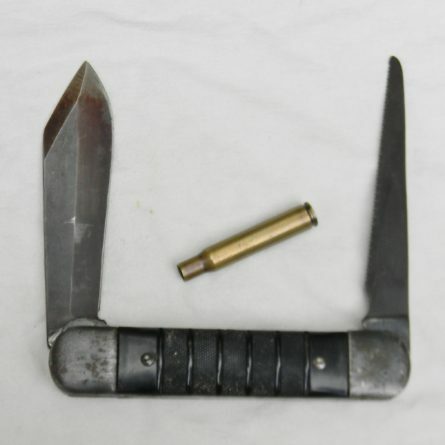 Original WW-2 era huge “Jumbo Jack” folder from the US Navy and Army Air Corps survival kits; manufactured by COLONIAL KNIFE COMPANY in Providence, Rhode Island. These extra-large folders are hard to find in good condition these days, especially with the saw blade intact. 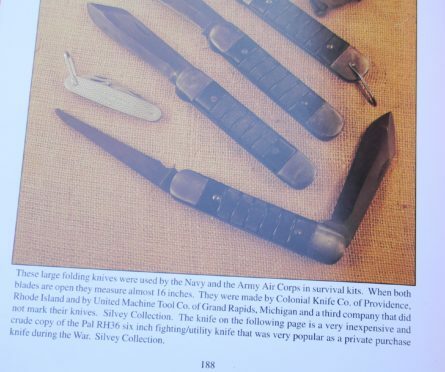 This type is illustrated on page 188 of KNIVES OF THE UNITED STATES MILITARY WORLD WAR II book by Michael W Silvey – a well-established expert and the author of a number of books on the subject of the US military edged weapons (see book’s page scan attached). 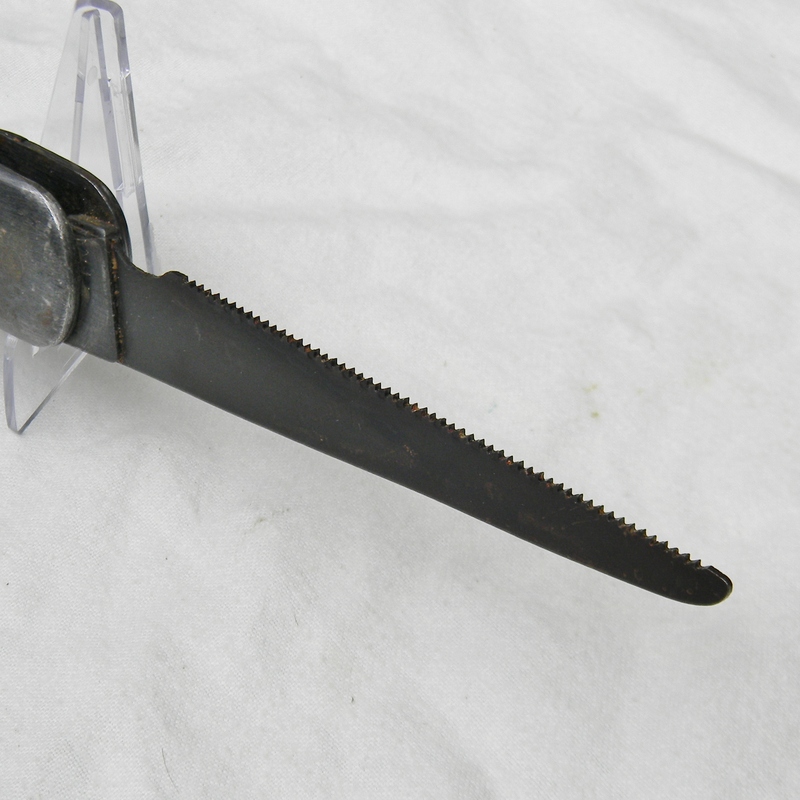 The knife is about 6″ / 15.3 cm closed; large blued blade is about 4-3/4″ /12 cm; the saw is about 5″ / 12.7 cm long. Black plastic handle scales are in great overall condition with no cracks or chips. 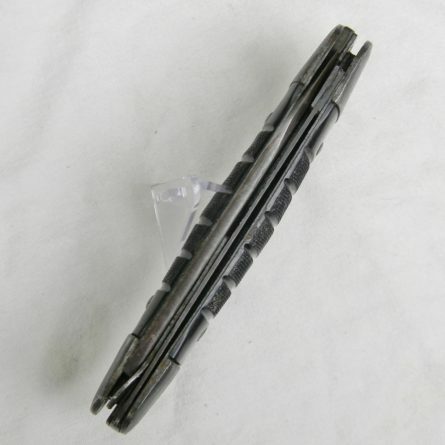 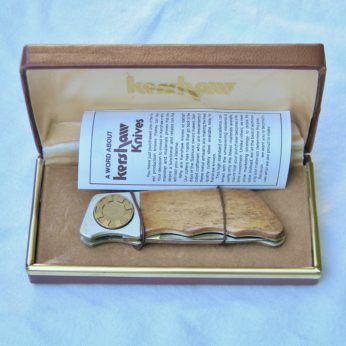 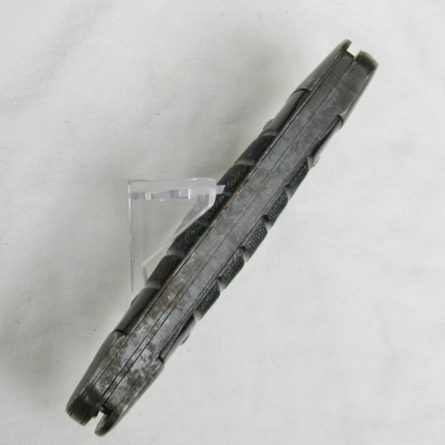 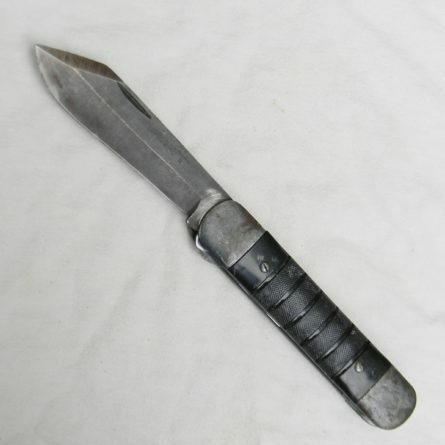 This big boy is not your typical pocket knife a bit over 6″ long even when closed and weights about 13.1 oz / 372 grams. 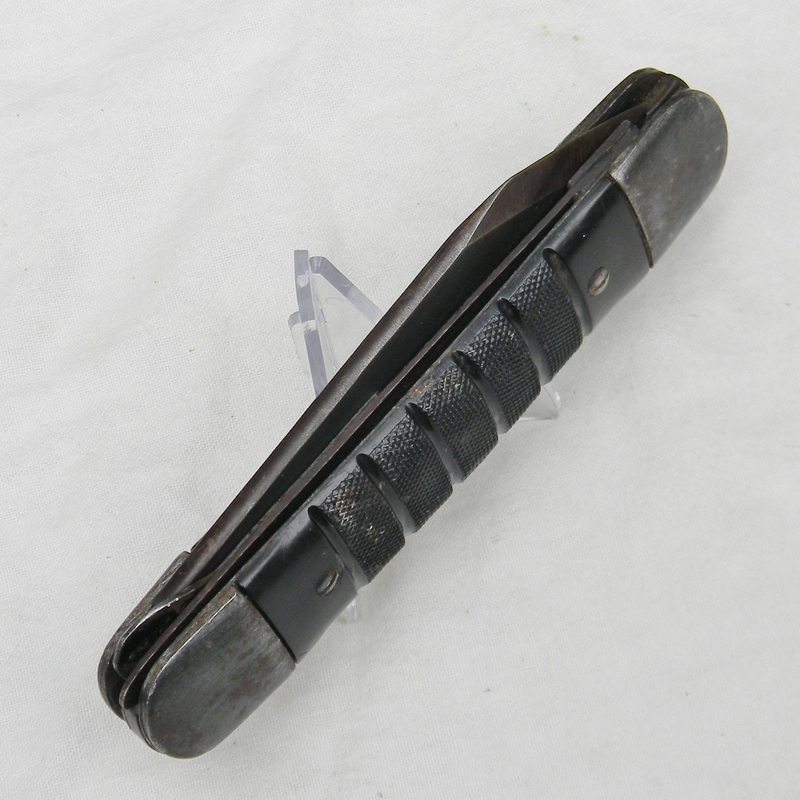 This old-timer is in 100% serviceable condition still, even after almost 80 years in retirement! 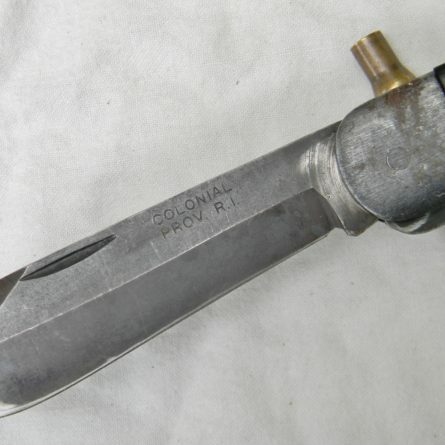 This original WW2 COLONIAL USN Air Corps airman survival knife has not been cleaned or tampered with in any way. 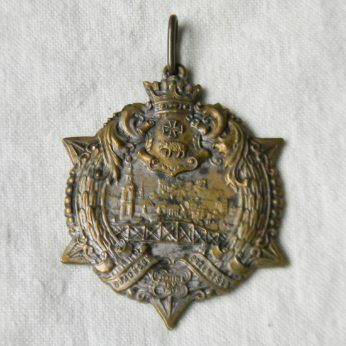 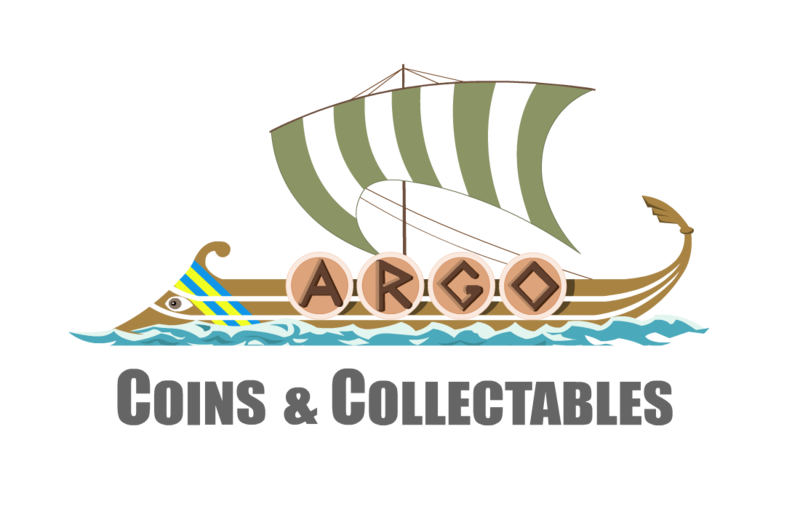 These are the actual photos; spent brass is not included with the lot. 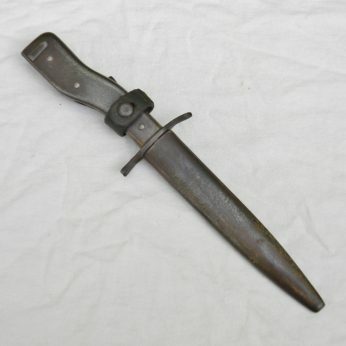 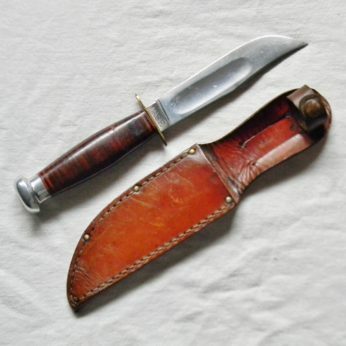 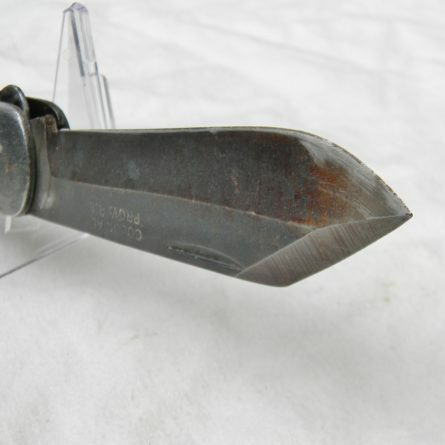 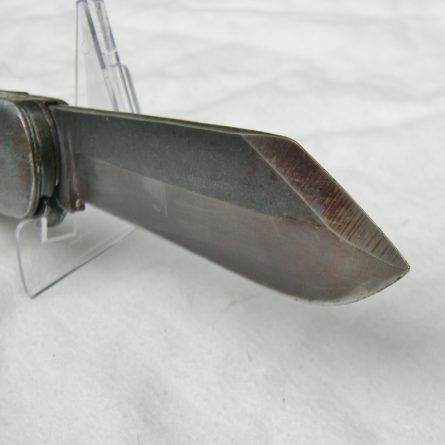 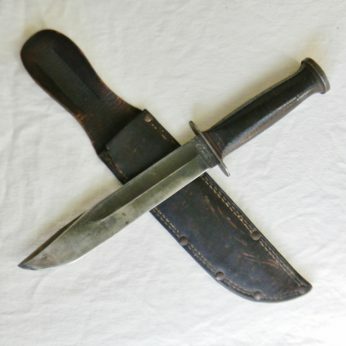 We a few more American WW2 era combat knives, as well as several scarce WW1 and WW2 fighting daggers and trench knives available for sale – please take a look in our Militaria section.